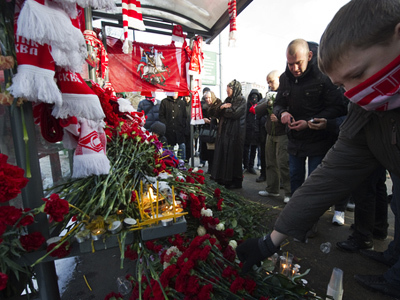 Moscow authorities have sanctioned a rally on January 15 in memory of the killed fan of the Spartak football club. In December a similar gathering several days after his death turned violent. ­The rally will take place in northwest Moscow at 11am local time (8am GMT), 40 days after Spartak Moscow fan Sviridov was shot dead in a brawl with migrants from Russia's mainly-Muslim North Caucasus region. Among the organizers of the rally, which is expected to attract around 4,500 people, is an activist from the liberal Yabloko party, Artur Grokhovsky. The party’s leader, Sergey Mitrokhin, said on Friday that Grokhovsky is acting of his own free will, although he had informed the party of his actions. 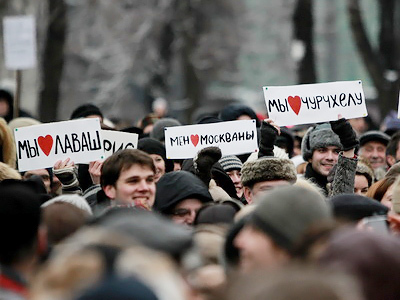 Grokhovsky said that the rally has no political implications and the organizers have urged the participants to “refrain from any political symbols and slogans”. 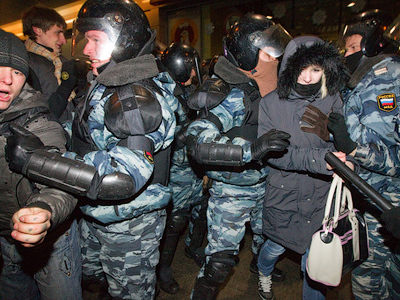 “We call on everyone not to hold any protests or any other unauthorized actions,” Grokhovsky said. A similar rally will be held in St. Petersburg. The event is expected to gather some 1,500 people. Activists from the Young Guard pro-Kremlin political movement also intend to commemorate the death of Egor Sviridov. However, they will not join the rally on Moscow’s Kronshtadsky Boulevard, where he was killed, but will only lay wreaths on his grave. Several hundred members of the nationalist Movement against Illegal Immigration are also expected to attend the rally. But, according to their leader Vladimir Ermolaev they will come as individuals and will not be carrying the movement’s symbols. He also stressed that their participation in the gathering has no political meaning. 28-year-old Egor Sviridov was shot dead on December 7, 2010. 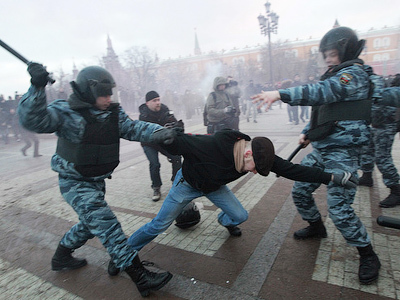 Several days later, on December 11, an initially peaceful commemorative rally turned violent on Moscow’s Manege Square, with dozens detained by police. The violence was spurred on by nationalist slogans. The leadership of the Spartak football club has criticized political parties who try to gain political points over Sviridov’s death, organizing a rally in his memory on January 15.